Ever lost your keycard or fob that gets you into your office? Pain in the bum, isn't it? How about that card you need to buy a coffee in the office? 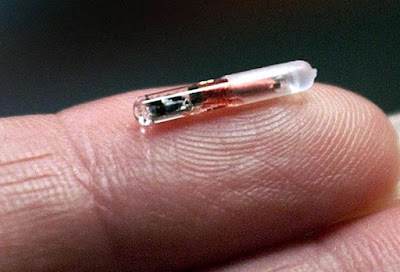 If so, you might benefit from working at Epicenter in Sweden, where workers have the option of being implanted with an NFC microchip. Yep, just like you dog has. The optional chips (and we have to be clear about them being optional) are implanted between the thumb and forefinger and contain info specific to that worker. Therefore they can simply wave their hand at a locked door to open it, do the same to log on to a terminal, and also use it to buy food while in the huge Epicenter business complex - just like you do with a contactless credit card or Android Pay on your phone. This all sounds very convenient, but obviously there is a privacy issue here as the worker's employer can therefore track exactly where they are and what they buy, without the individual being able to easily separate themselves from the chip. So... would you have one implanted?